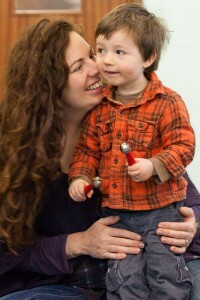 See what parents have said about Kindermusik with Ali! “My boys have loved Kindermusik and I have been coming for 6 years. I chose Kindermusik as I wanted to do something with my children from an early age that would grow with them. The music experience adapts with your child as they progress through the programme. We love the variety of play that we get each week and we love the themes of the programmes as most will take us on a journey. “I have been attending Kindermusik with my 3 children since they were about 6 weeks old and they all love it. I think the CDs and instruments that come in the home packs are brilliant. We always have Kindermusik CDs on in the car which we all sing along to. I like the fact there is singing, dancing and interaction with your child. There is variation in what Ali does in the classes each week. There is repetition so the children learn, but its not the same every week so parents and children don’t get bored, which I think is important. 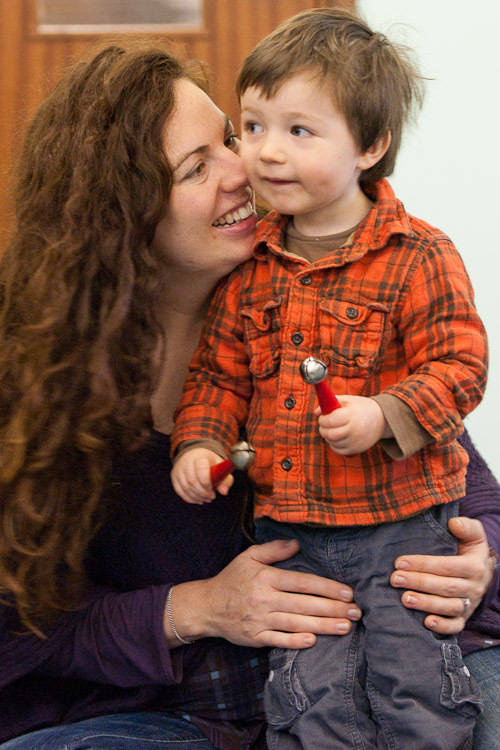 “I have know Ali for 3 1/2 years since my daughter started Kindermusik at 5 months old. I was looking for a class that was fun and engaging for both the parents and children as well as educational. Ali’s knowledge of child development and her empathy with young children has always meant her classes are pitched at just the right level for the ages of the children in her class. She plans and structures her classes carefully, always ensuring the children get to repeat and reflect on new learning in a variety of ways. Both my children love seeing Ali and are always excited and enthusiastic to take part in the activities she has planned. “I have been taking my little girl to Kindermusik since she was eighteen months old and she has loved it from the beginning. Ali is so friendly and welcoming that we both fitted into the group with ease. A couple of months on my daughter has grown in confidence, learnt plenty of new skills and always thoroughly enjoys herself. “We have been part of the Kindermusik experience for almost 4 years now. I just wanted to let you know how much we have enjoyed the classes with you during that time. My oldest is still talking about the classes, singing the songs and dancing to them after so many years. What attracted me in the first place is that Kindermusik is the only parent and child music method which provides a structured educational introduction to music to children from a very young age supported by excellent home packs for the parents. The kids love the variety in music (from classical to folk songs and nursery rhymes), and the CDs are played most days.